Lucas Stark	is ready to help you get the answers you need. Lucas Stark	will reply to your questions about Get extension name	shortly. We appreciate your feedback about your support experience with Lucas Stark, developers of Recommendation Engine. This helps us maintain high standards on the WooMarketplace, and helps Lucas Stark improve. Glad to hear it went well with Lucas Stark. Tell us more. Did Lucas Stark get back to you? Do you have any additional feeback for us or Lucas Stark? WooCommerce Recommendation Engine will allow you to configure Netflix and Amazon style product suggestions for your customers. The plugin automatically recommends products to users based on view history, purchase history and products that are frequently purchased together. It is a great way to provide for automatic cross and up sells, and will help users browse and purchase more products from your store. This module shows products which customers also viewed. 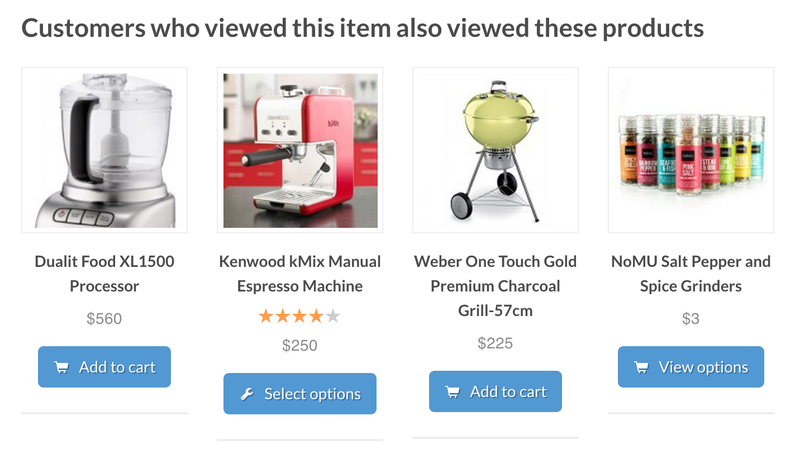 Each time someone views a product it is recorded in the recommendation engine database. This data is then processed by the module and shows products which are often viewed together. Excellent way to provide automatic related products and to help drive users to view products they might not have otherwise found. This module shows products that are often purchased by the same users. The products do not need to be purchased at the same time. It’s excellent for showing products which are purchased by the same users over the course of time. It is a great way to get users to purchase more products at the same time by showing them things that other users have came back to the site to purchase later. This module shows products which are frequently purchased at the same time and on the same order. This type of view is an excellent way to build and show a database of products which are often needed together to complete an order. Often times accessories or other type of addons will be purchased at the same time by a user, and this engine will show those bundles to end users. Excellent way to get shoppers to purchase products they might not have been considering or had thought they would need. This widget allows you to show the Related Products By View and Related Products by Purchase History recommendations. This widget allows you to show the Products Purchased Together recommendations.